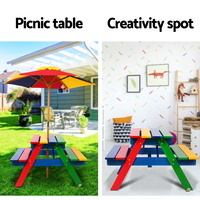 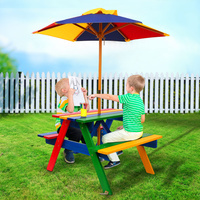 Crafted from natural wood, the set comprises of a table and two benches with a sturdy umbrella. 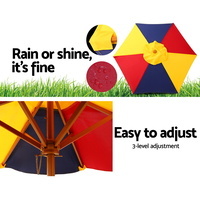 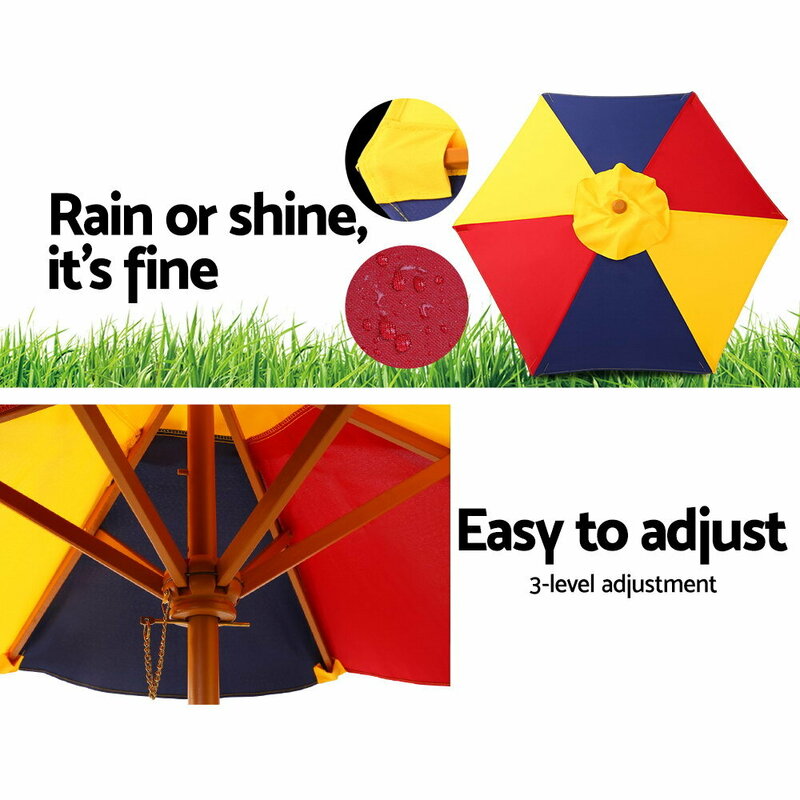 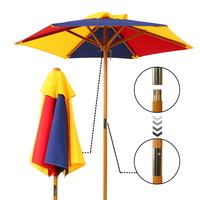 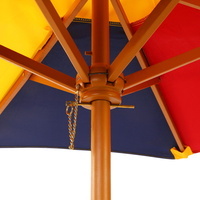 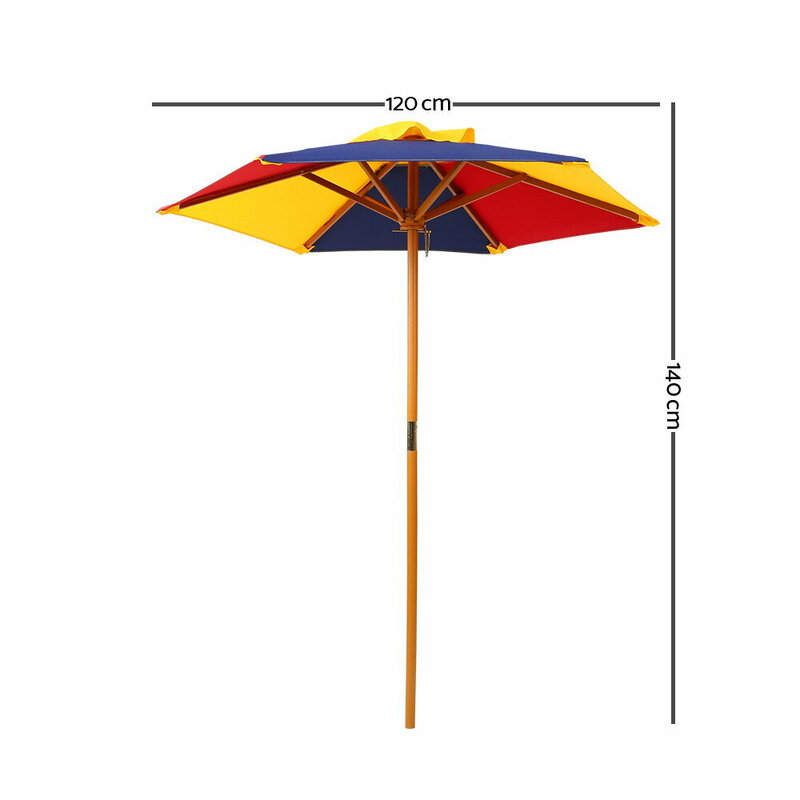 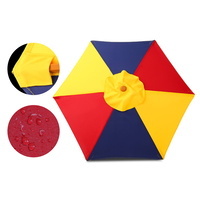 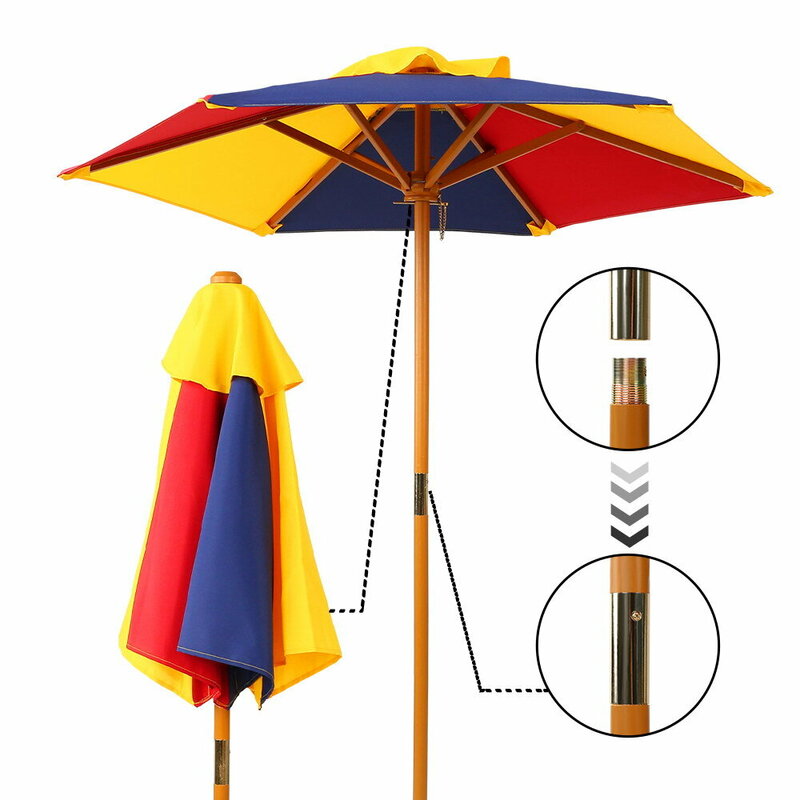 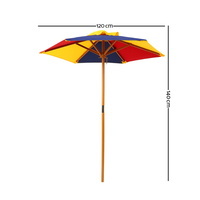 The umbrella can be folded or removed to take advantage of any weather. 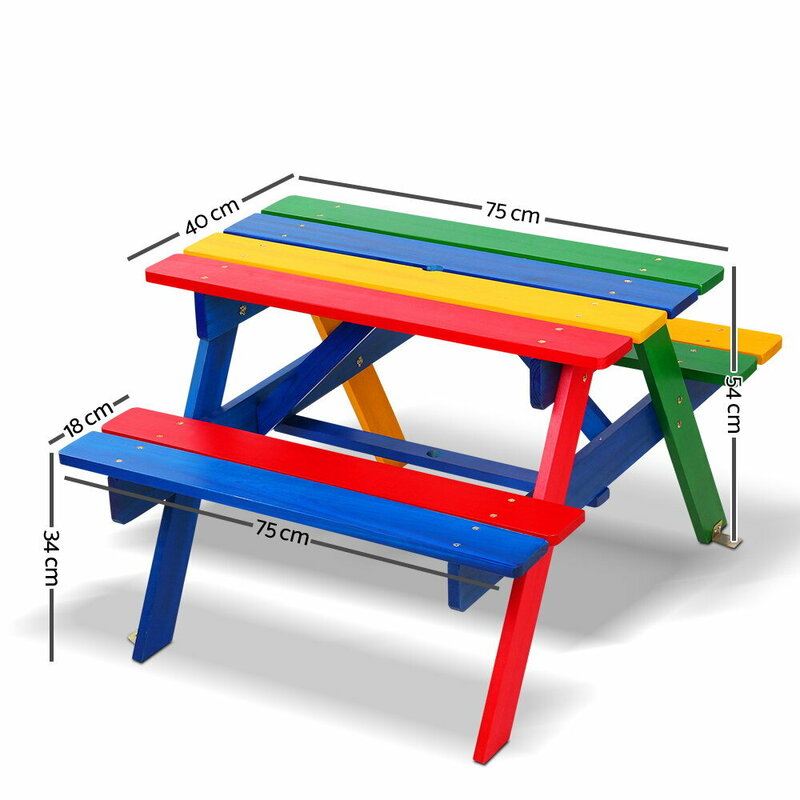 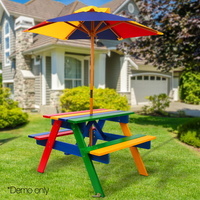 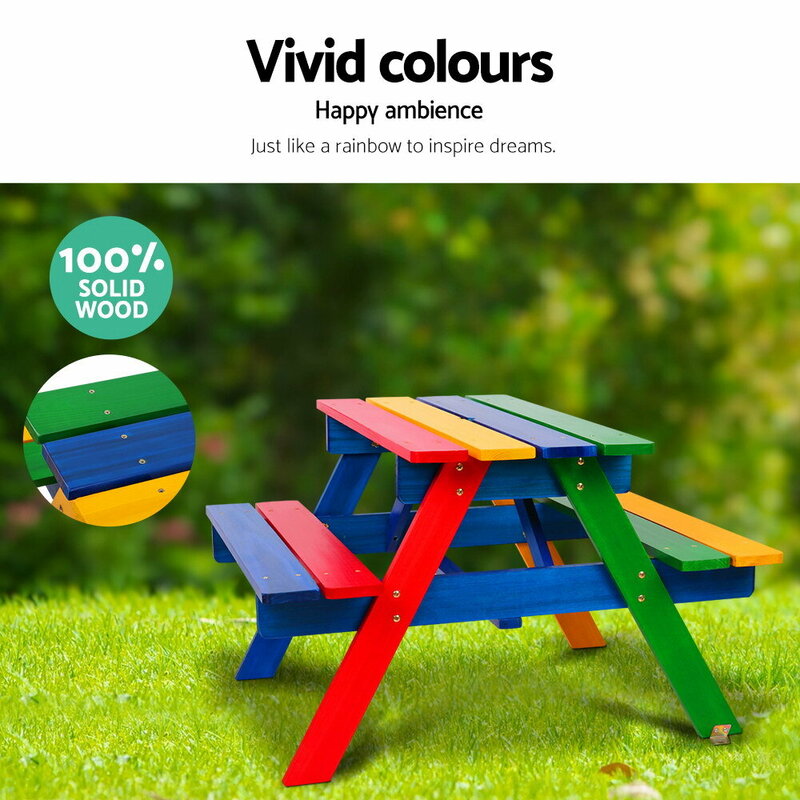 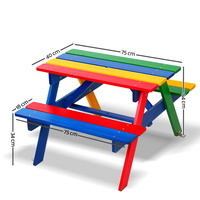 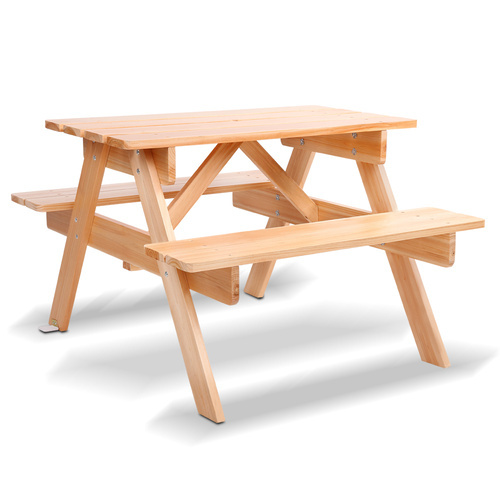 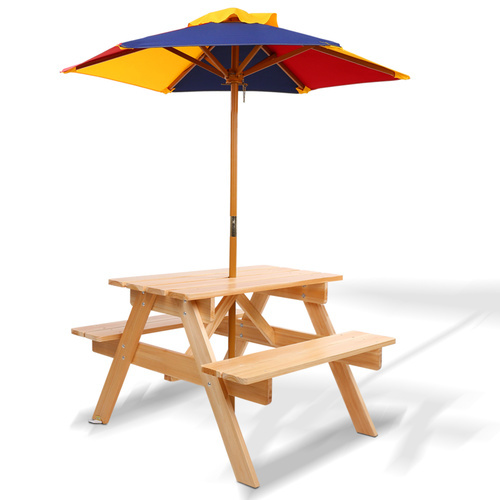 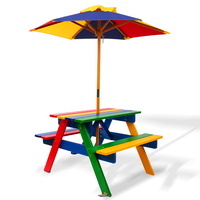 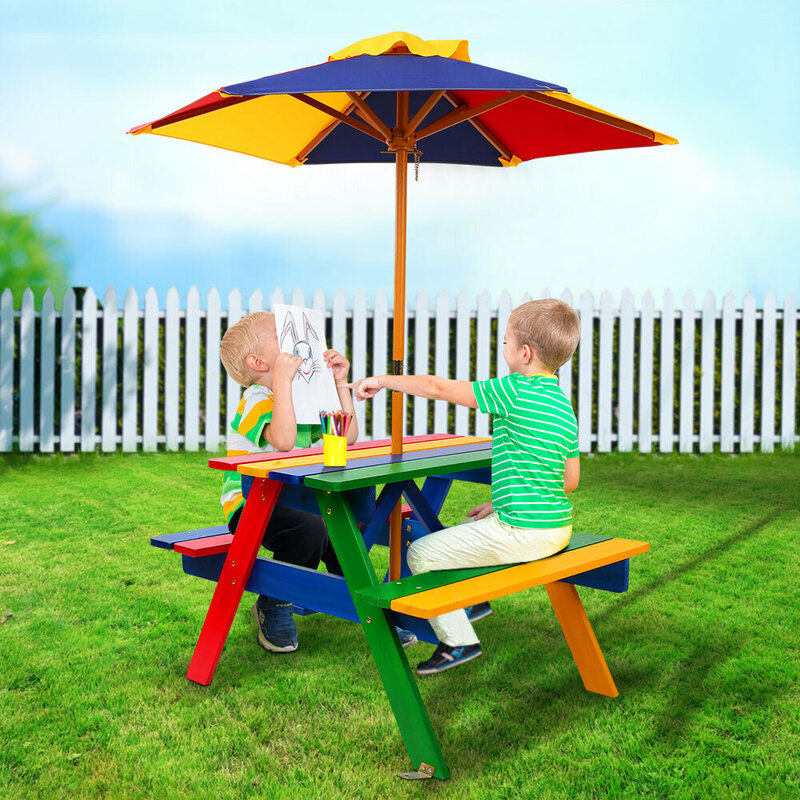 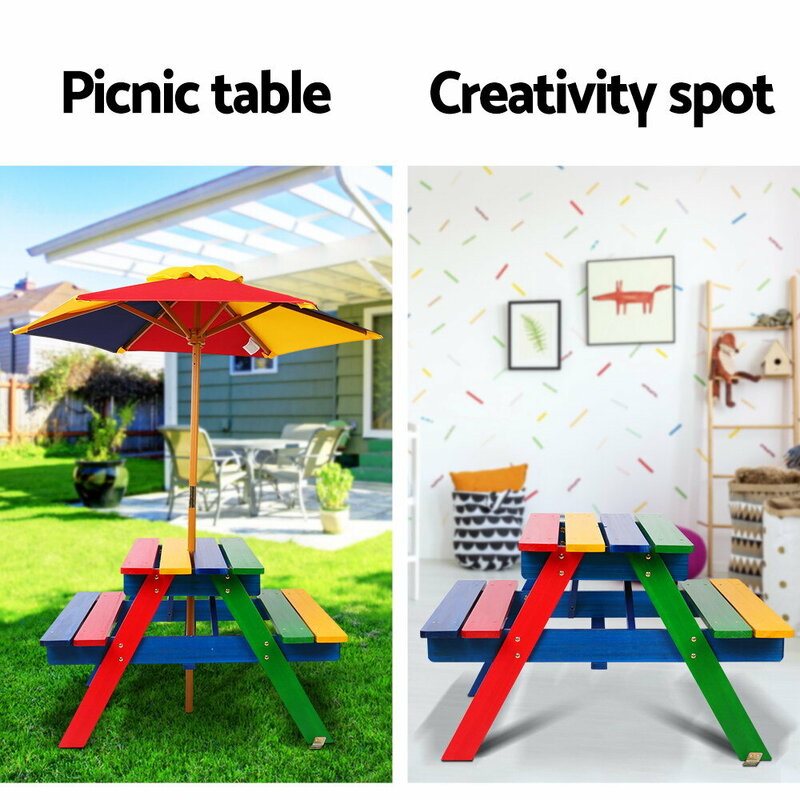 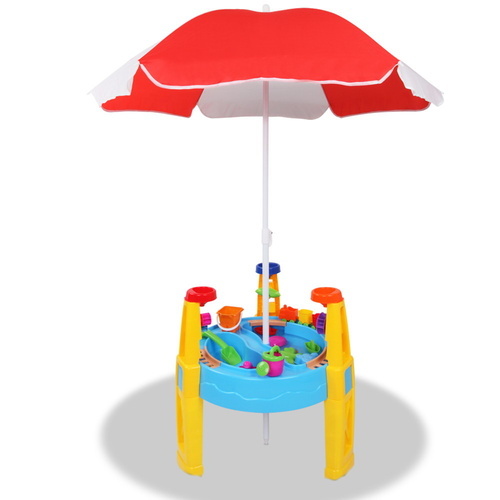 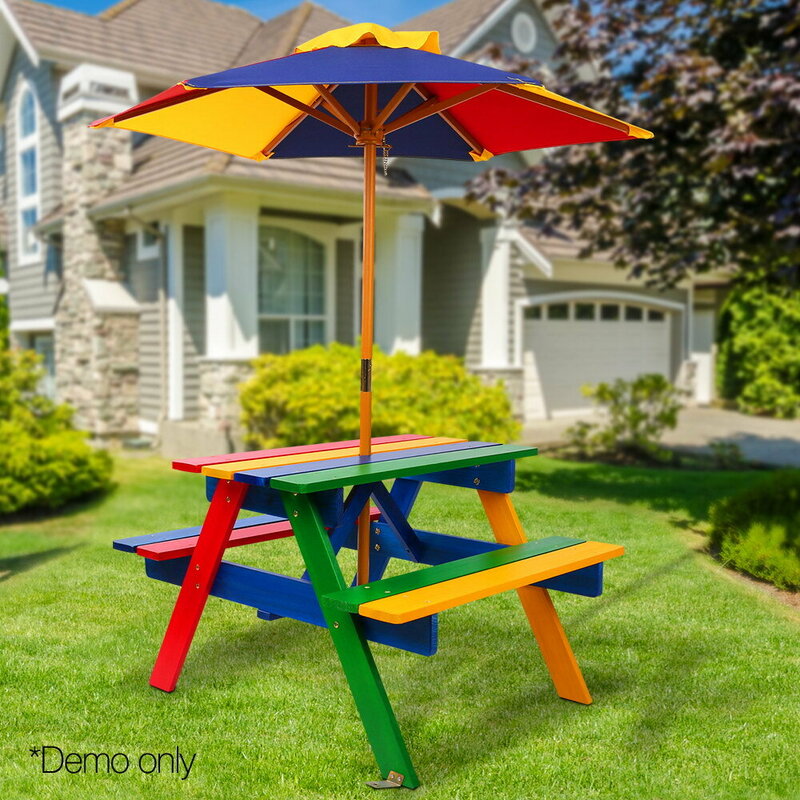 The entire set can be used both indoors and outdoors and is built for durability.